Watching a woman complete her daily or nightly cosmetic ritual is fascinating. Cream after cream is applied – none of which you fully understand – only to emerge from the sanctum of the bathroom a glowing goddess – maybe less so on ‘mud mask’ night, when she appears more like a bog-monster from the marshlands. The point is, women are deeply immersed in the beauty industry, but men tend to fall short, especially down here on the South Coast. The good news is that the stigma surrounding the male grooming industry is changing, especially up in the capital, and it’s trickling its way down to Bournemouth. “I am the first to hold my hands up and say that I find the beauty industry intimidating as a bloke. I’m not one to make any kind of cleansing or moisturising a habit and I definitely wouldn’t have dreamed of going to a salon before, but after much deliberation (and taunting from colleagues) I decided to give it a go. I went to Visjuene to test out the patented ‘Fire & Ice Treatment’ – the pre-red carpet procedure favoured by both male and female celebrities. I arrived with little known knowledge of the treatment, but all was cleared up by technician ‘Christie’ who explained the entire process before going any further. Salon owner and practiced cosmetic nurse ‘Lisa’ joined to see how I was getting on. Both Lisa and Christie were incredibly knowledgeable and straight-faced about the whole thing. I was clearly uncomfortable and whilst the girls could have made light of the situation, they didn’t. They were both so professional and I think that’s what made me feel at ease. They took me just as seriously as anyone else; it wasn’t a novelty or a laughing matter to them that a man had come to take care of his appearance. I made myself comfortable on their treatment couch and awaited the first product. After undergoing what the girls called a ‘deep cleanse’, the first masque was applied all over my face with a soft-bristled brush. Christie mentioned that it would warm up and maybe sting a little. I don’t have a necessarily high-pain threshold, but I didn’t feel much stinging, though when the formula was removed it definitely tingled. The second masque was applied shortly after to cool the cell-rejuvenating action of the first cream. The process was polished off with a series of gels and serums to re-hydrate the skin. I picked up a mirror and held it away for a moment – what was going to be staring back at me…the new and improved Gary? Or someone more easily mistakable for Hell Boy? WOW I was genuinely impressed with the results. It wasn’t obvious that I had something done; yet I looked revitalized and fresh. I spent the rest of the day receiving compliments and my confidence was through the roof. I called up as soon as I got back to the office and asked what else they could do. Along with this ‘Fire & Ice Treatment’ Clinic Visjuene offers a wealth of male-orientated treatments including ‘Laser Hair Removal’ – a painless, yet seriously effective hair removal treatment, suitable for all skin types. Just think, no more embarrassing back hair, no more covering up, no more stress. 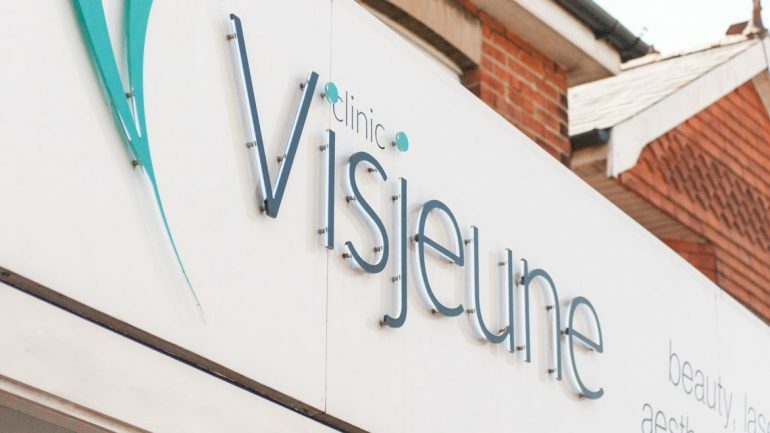 For those who want to seriously commit to looking younger, Visjuene offer the highest grade of Anti-Wrinkle injectables, delivered by a professional cosmetic nurse. The injectables are perfect if you are looking to reduce the appearance of lines and wrinkles, whilst extenuating masculine features. For these and tons more treatments, for both men and women, get in-touch with the incredibly friendly team at Clinic Visjene.